4/8776 Lance Corporal Joseph Simpson Howson, 4th Battalion, the Durham Light Infantry died 19 January 1915 and is buried in West Auckland Cemetery. He was 20 years old and is commemorated on West Auckland War Memorial and the Roll oh Honour, West Auckland Memorial Hall. In 1901, the family lived at Shotton near Easington, in east Durham where 45 year old Isaac worked as a coal miner. By 1911, the family lived at 16 Peases Street, St. Helens where 55 year old Isaac worked as a coal miner (waggonwayman).18 year old William and 16 year old Joseph both worked as coal miners (helper putter). At a later date, the family lived at 13 Tindale Crescent, Bishop Auckland. 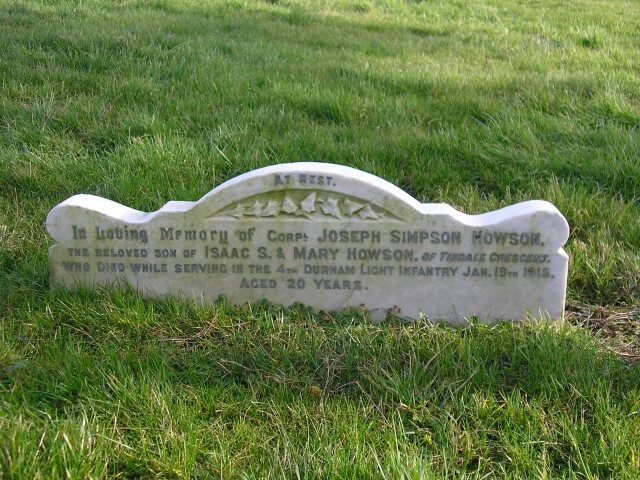 Joseph Simpson Howson enlisted at Bishop Auckland 10 August 1914 when aged 19 years 7 months and was given the regimental number 4/8776. He underwent a medical examination 11 August 1914 and was 5’8¾” tall and weighed 136 lbs. He served with D Company. At some time later he was promoted to Lance Corporal. Lance Corporal J.S. 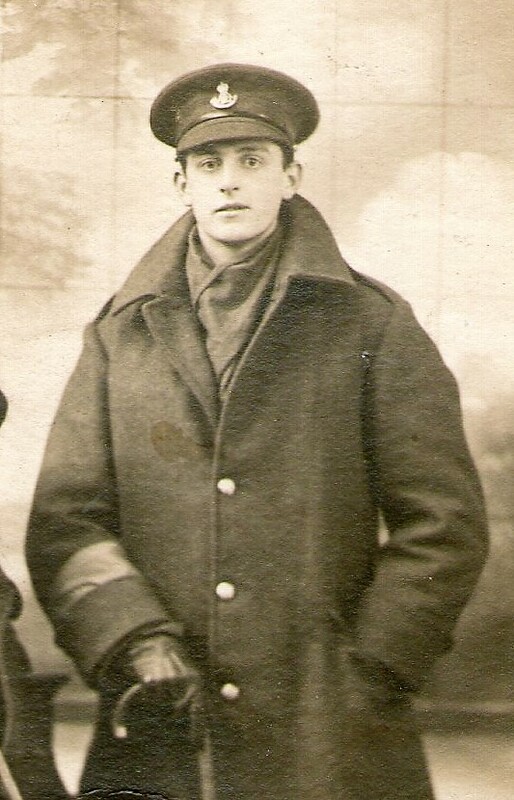 Howson died 19 January 1915 when aged 20. He had served with 4/DLI for 5 months. The Medical Case Sheet records that he was treated at 1st Northern General Hospital Newcastle-upon-Tyne. Lance Corporal J.S. Howson is buried at West Auckland Cemetery. Lance Corporal Joseph Simpson Howson is commemorated on West Auckland War Memorial and the Roll oh Honour, West Auckland Memorial Hall.